Of all the inspection procedures I have discussed on this site, determining the percentage of undersize berries may be one of the most time consuming, and confusing procedures. First off, there are two size requirements you must be aware of. The bunches have to meet a minimum size, having to weigh at least 1/4 pound, to be considered as meeting the requirement of the U.S. No. 1 Table Grape grade. If a bunch does not weigh at least 1/4 pound, the entire bunch is grouped with the other quality defects, with a tolerance of 8%. This post deals with the second size requirement for Table Grapes. To meet the requirements of the U.S. No. 1 Table grade, not more than 10% of the bunches (by weight) may have more than 25% of the berries (by count) not meeting the minimum size. As seen from the image above, the size of the berries usually varies in size from small berries to large berries. If you follow the USDA’s inspection procedures you would have to determine if 25% of the berries, on the bunch, are smaller in diameter than what is allowed for the grade. If you found more than 25% of the berries being undersize you would weigh the bunch, and all of the bunches within your sample that also had berries with more than 25% being undersize. 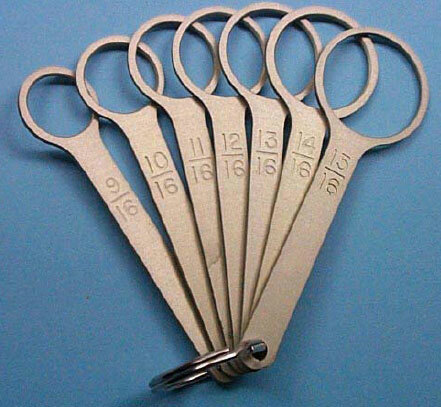 The total weight of these bunches may not exceed 10%, no matter how many other defects you found. The 10% tolerance for bunches with undersize berries is a separate tolerance, separate from the defect tolerance. So, how do you actually determine if the berries meet or fail to meet the minimum size? You have to have a grape sizer, as pictured above. For all varieties, other than seedless varieties, the berries must meet a minimum diameter of 10/16 inch. For all seedless varieties (Flame Seedless, Thompson Seedless, Perlette, Black Seedless, etc.) they must meet a minimum diameter of 9/16 inch. Do the USDA inspectors actually count the berries on every bunch, and then count the number of berries on that bunch that are less than 9/16 or 10/16 of an inch? The answer is yes and no. If the berries appear to meet the minimum size, the inspectors never use their grape sizer. But if it appears there may be a problem with the berries, most experienced USDA inspectors will quickly slide the grape sizer around the berries on the bunch and estimate if at least 75% of them meet the minimum size. If they followed their own inspection procedures, literally counting all the berries on the bunches and literally counting all the undersize berries, the inspectors would spend an entire day on one grape inspection. Not feasible. Explaining this procedure via a post is very difficult, as most people find this procedure much easier to understand if they see and experience this during an actual training class. I have one question: how many bunches do you need to take samples for verifying the undersize? Does it depend on the amount of goods to determine suitable sample size? Good question Truong. All bunches suspected of having undersized berries should be sized to determine if they make the requirement. If for example you found 3 bunches in the carton with more than 25% undersized berries, and the total of these three bunches weighed 3.6 pounds, you would have 20% undersized berries for that one 18 pound carton, or sample. Thanks for your prompt reply.But we have to take how many bunches to verify undersize? For example, we buy 1000 cartons of table grapes, then we take 10 cartons to do inspection. Among these 10 cartons, we should take how many bunches to compare its size or we will verify all bunches in these 10 cartons? One question more is concerned number of carton of table grapes is sampled for doing inspection. According to you (or to any USA standard), we should take how many carton in order to be representative samples for all lots? 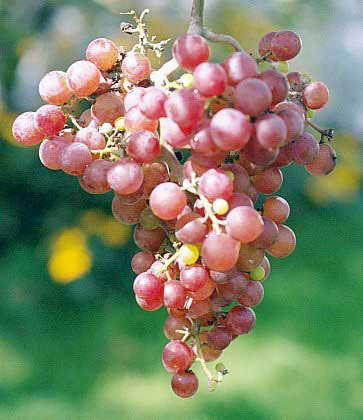 I know table grapes are very sensitive berries, so we can not take a lot of time or a lot of samples to do inspection. But i’d like to know good method that can be representative evaluation of quality. Truong, for the undersized berry question; you would inspect all the bunches in the 10 cartons you are sampling for your 1000 carton inspection. The USDA has specific sampling guidelines when performing inspections. They use a 1% sampling rate as their guide, with a minimum of 3 samples for the smaller lots. For example, 1600 cartons of tomatoes they would sample and inspect 16 cartons, for 1000 cartons of lettuce they would sample and inspect 10 cartons. For 1-300 cartons of a product they would sample and inspect 3 cartons. Industry QC’s are not bound by this requirement. Usually 3 to 5 samples are used when determining their percentages. The QC’s will give a quick look to a lot more cartons, but if they see a problem and need to determine percentages for rejection purposes they narrow it down to 3 to 5 samples.